Instant Rewards w/ Your Card ~ Philippine Freebies, Promos, Contests and MORE! 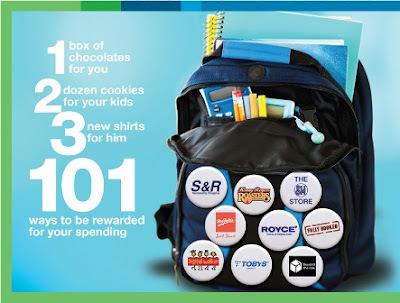 Standard Chartered Bank gives you 101 ways to be rewarded for your spending in their latest Instant Rewards promo. As always, you only need to shop using your card and make the minimum single-spend transactions worth P1,500, P3,000, P5,000, P8,000, P10,000, or P25,000. This entitles you to foodie treats from Mrs. Fields, Kenny Rogers Roasters, and Royce, while GCs await from SM Department Store, Toby's / RUNNR / Urban Athletics / MOVE, Beyond the Box / Digital Walker, and Fully Booked. Do note that you can use only one (1) charge slip issued by a particular establishment on a given day but can make up to 20 redemptions in a month. Shop, spend, and enjoy these awesome rewards!